With Black Friday coming up, it can be a real panic thinking about what you need to buy for who, where you’ll find the best deals, and wondering if all this sales shopping is going to leave you with empty pockets. That’s why I’ve created a little guide to Black Friday, just in case you need some help on finding the best deals! If you’re looking for the best deals on Electronic presents this year, be sure to check out Argos. With a predicted up to 70% off most things this Friday, it should definitely be high up on your list of websites to check out if you’re after a new television, gaming products and more! If you’d like some information on Argos, or would like to contact Argos for another reason, you can find a range of helplines here. You should also check out the likes of Currys, who will be continuing their deals throughout Cyber Week and beyond. If you’re after some amazing outfits for the Christmas Party this December, Black Friday is the best time to get them! My advice is to bookmark any outfit you like the look of, and wait until Black Friday starts before purchasing them. Once a sale is announced, check your bookmarks and see if the price has dropped. Or, check if the site is offering a Black Friday Sale Code for you to use. It’s predicted that sites such as ASOS, Topshop and Marks & Spencer will be putting on huge sales this year for Black Friday, with up to 70% off on selected lines. If you’re specifically looking for Christmas Gifts, why not check out the likes of Firebox, whose sales have already started with up 50% off selected lines. Also great for gifts and gift ideas is Amazon. 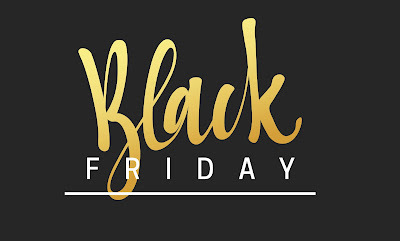 The website has already started with their Black Friday offers, and this Friday it’s expected that thousands of products will be up to 70% off in their giant Black Friday Extravaganza! Great tips! We'll be watching out for the M&S one and on Amazon for electronics ahead of Christmas! Oh there's so many great things for black Friday! I avoid black friday, but it is a big deal for our company though so lots of shipping the following monday. Great tips for those who are shoppers. Great tips! I love amazon! I've been not going to malls for Black Friday anymore. I do love shopping online! Thanks for these tips! I tend to avoid Black Friday unless if I really need to get something! Black Friday sale was terrific. I got so many cool items on sale. Great tips for Holiday shopping! Great post! Good thing that you share this will be timely and relevant as everyone is eyeing for a gifts this holiday season. Thank you! Great post! I am looking forward to buying some clothes and updating my wardrobe. Thanks for sharing.